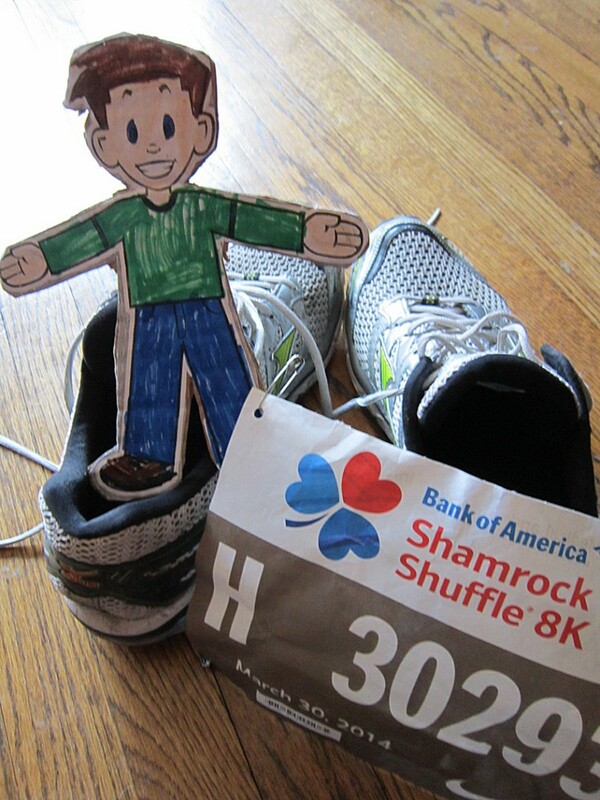 Today was the 30th Annual Shamrock Shuffle… okay, so I’ve missed the first twenty-nine!!! 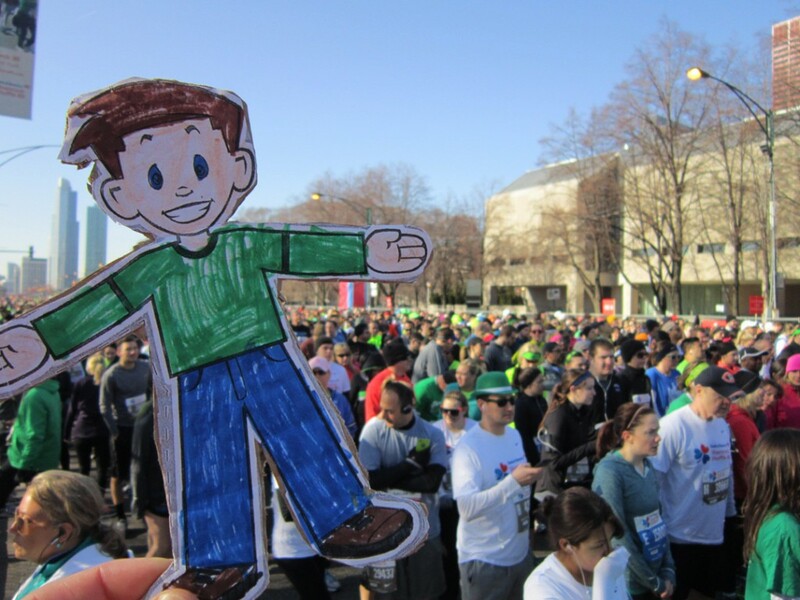 But today was a beautiful day for my first Shamrock Shuffle! 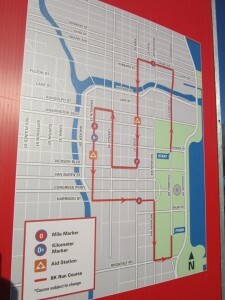 A fun 8K run through downtown Chicago! And lucky for us, today was a beautifully sunny day… finally. 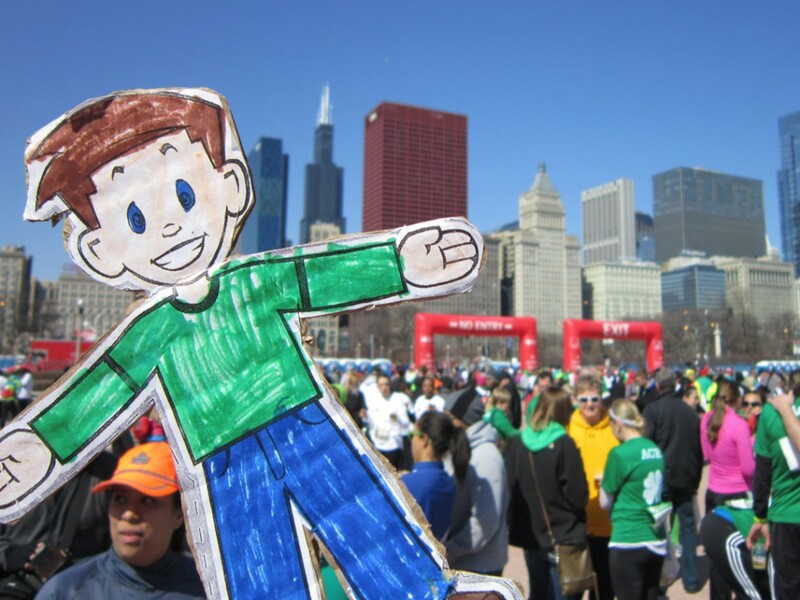 Sure, it could have been like ten degrees warmer, but otherwise a BEAUTIFUL day in the City… finally! 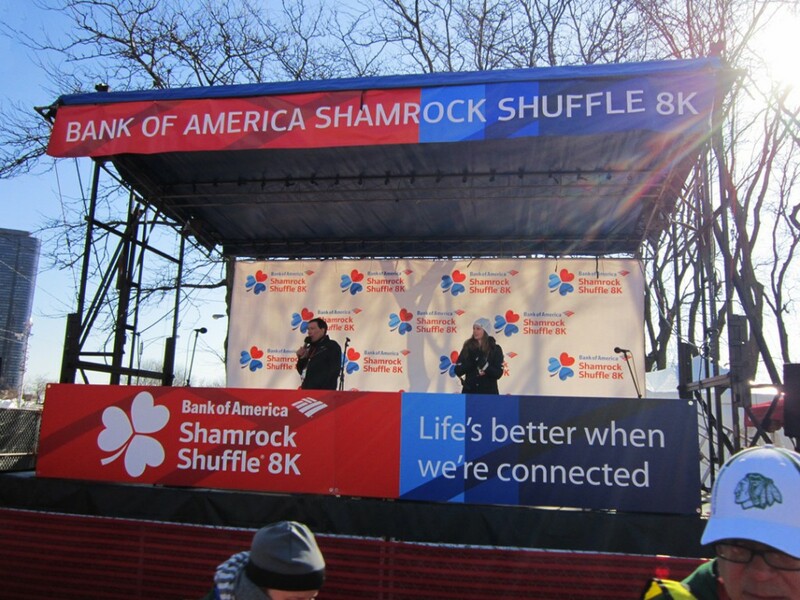 And what Shamrock Shuffle would be complete without a Leprechaun?!!! 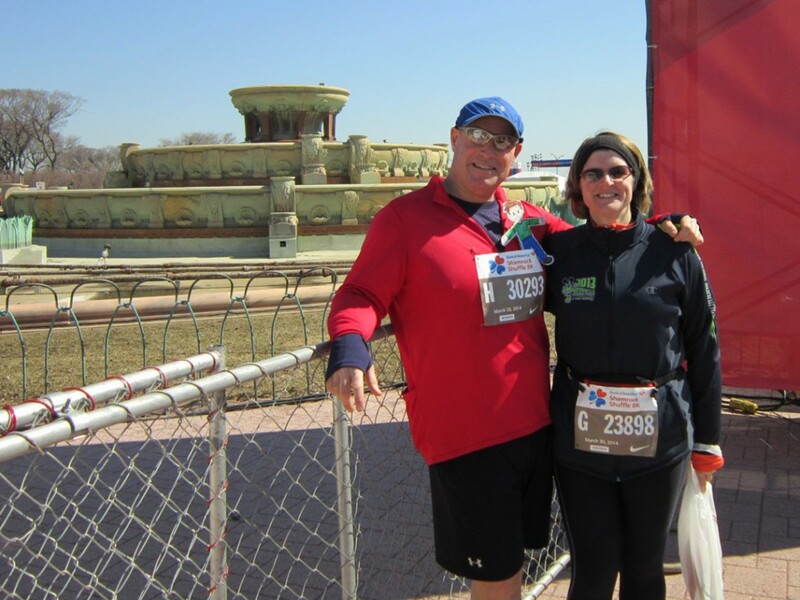 With close to 40,000 runners flooding the city this morning, it was a great surprise to run into my friend Megan at the start. 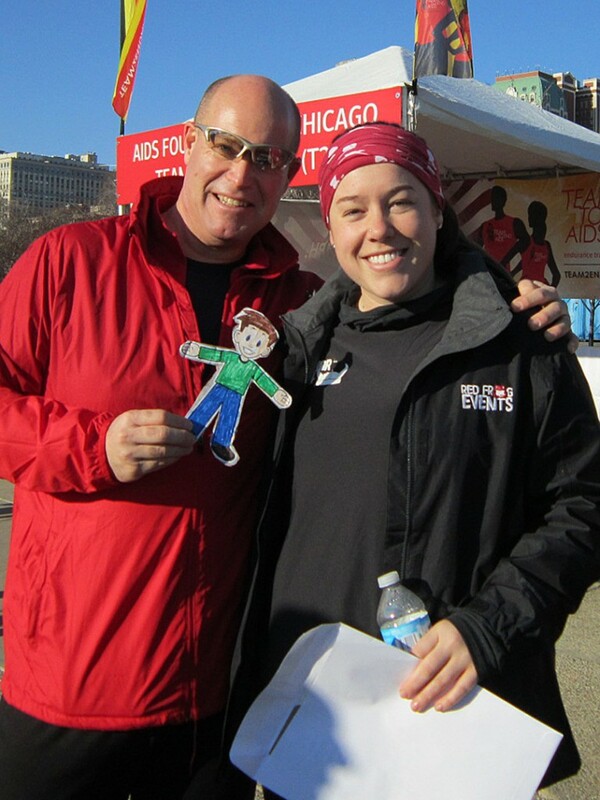 Sure, I never found my other friends I had planned to meet up with… but it was great to find Megan!!! Soon enough it was our turn to start. After Wave One… after Wave Two… finally my Wave Three! 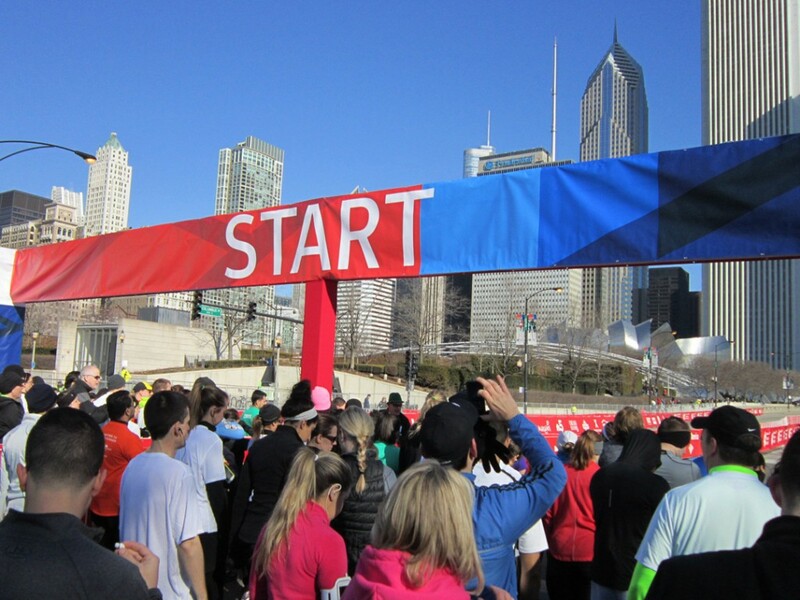 With thousands & thousands of runners all around… waiting anxiously to hit the road! And finally…. 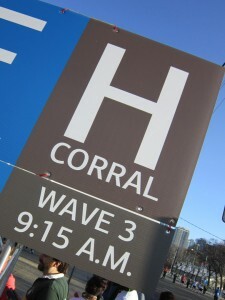 it was our turn… Wave Three, Corral H. And Stanley was ready to go too! 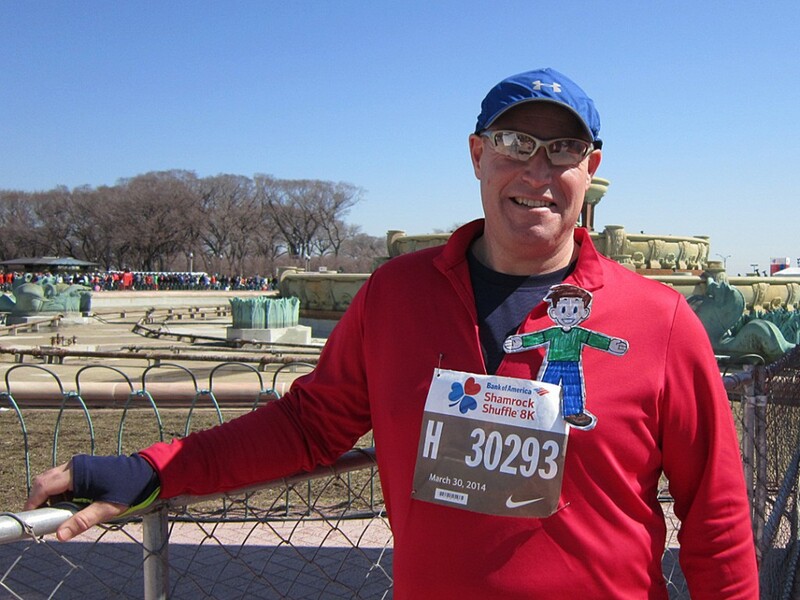 And after five miles, and several Flat Stanley photo stops, I made it back to the Finish Line in Grant Park. 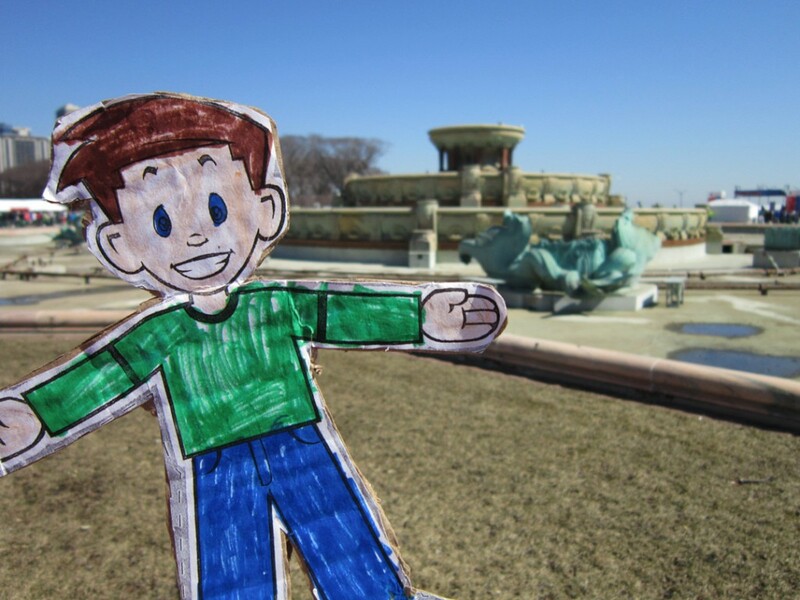 Celebrating with friends (yes, I finally found them) all around Buckingham Fountain. Too bad it’s too early in the season for the fountain to be turned on. 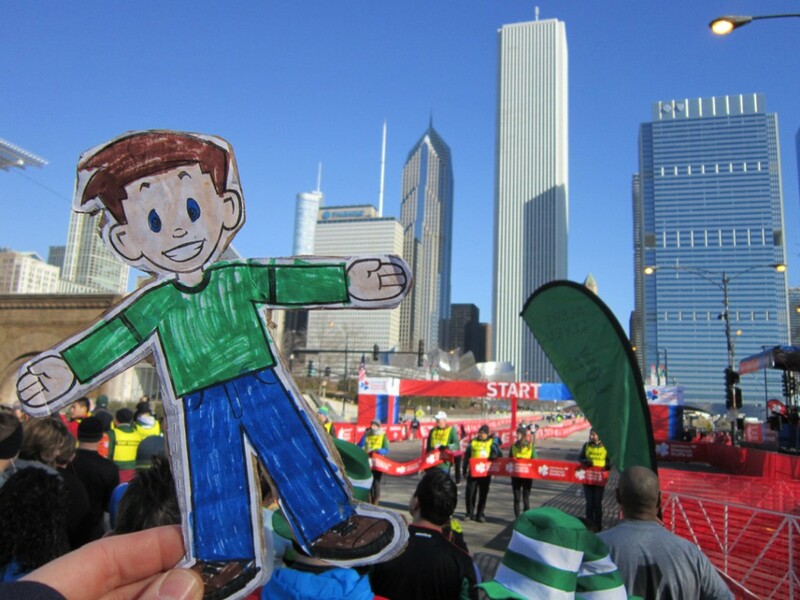 Still, Stanley was pleased to cross the Finish Line too! 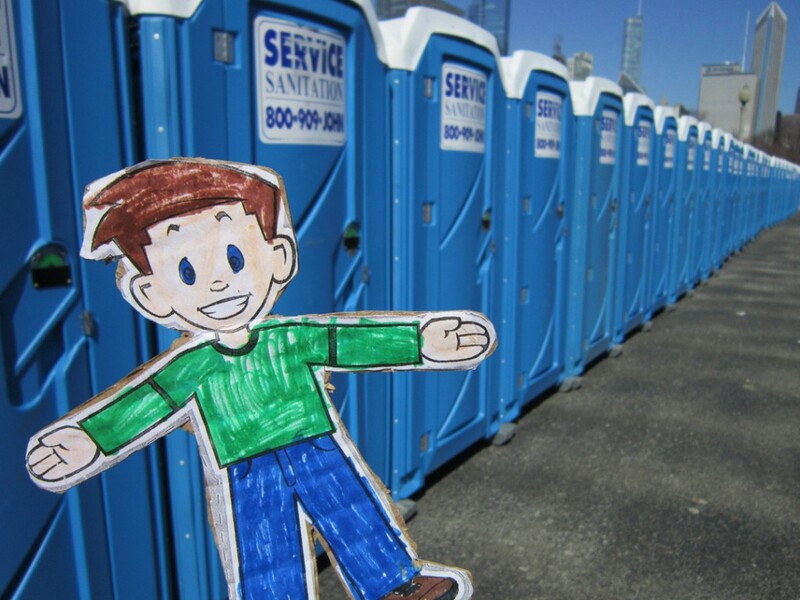 And no race would be complete without the necessary rows & rows & rows of Portos!!! 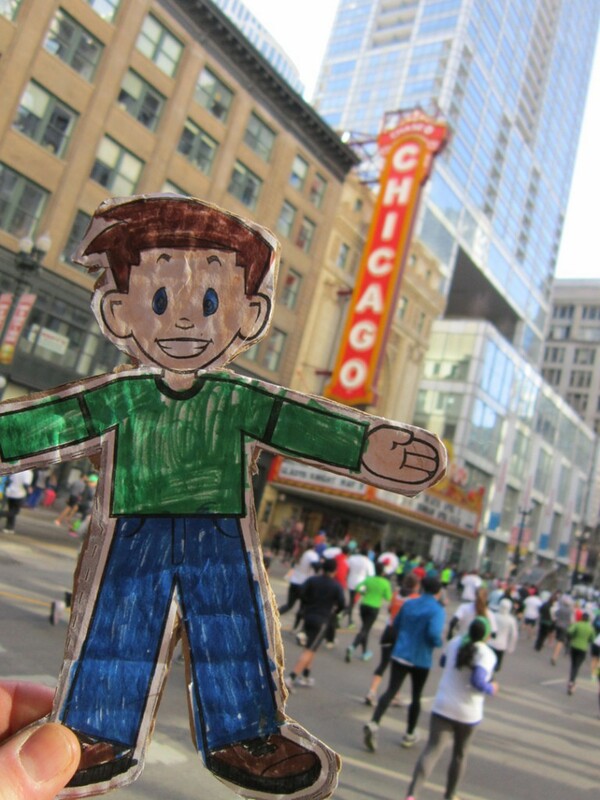 After the Shamrock Shuffle, we walked around the city and played more with Flat Stanley. There will be more pictures to come towards the end of his “adventure” with me. 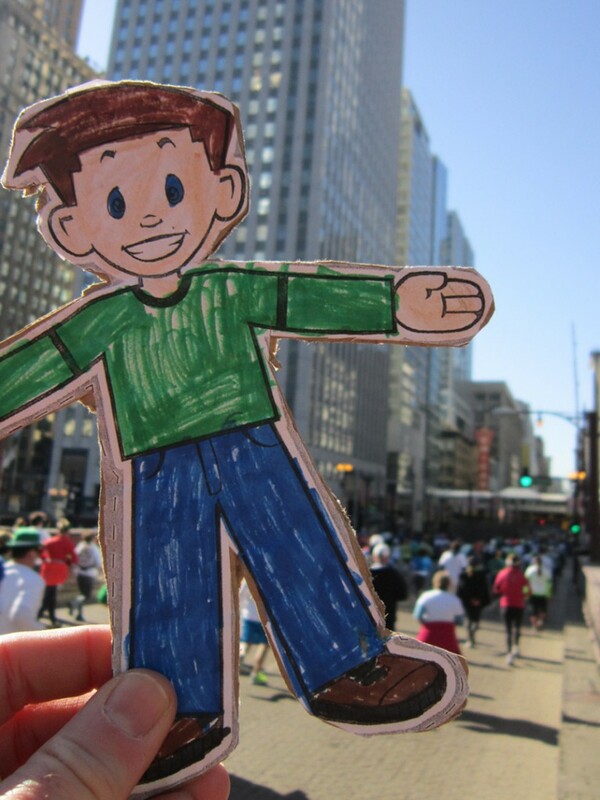 He saw a LOT of the city today – and even made two “flat” friends!!! 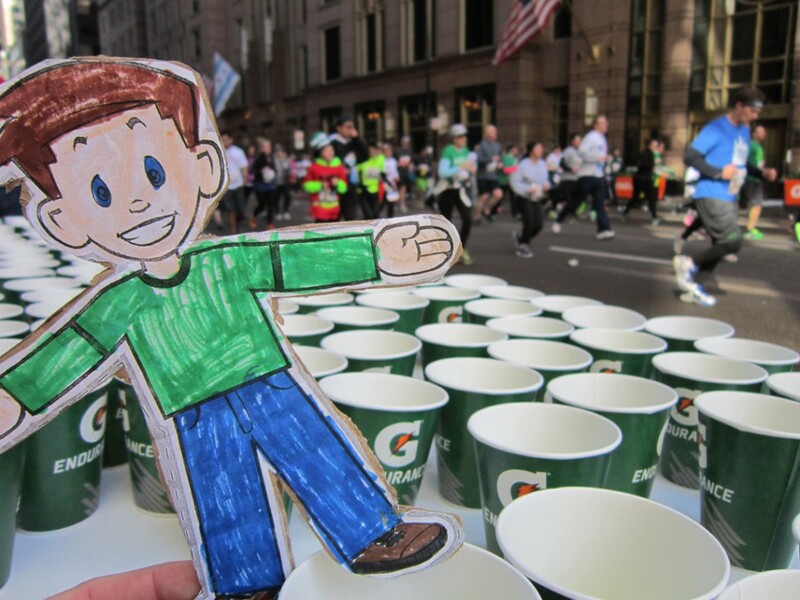 You know how much I love the Flat Stanley project… and I hope my cousin’s youngest kid Christopher will love seeing his journey at the end. 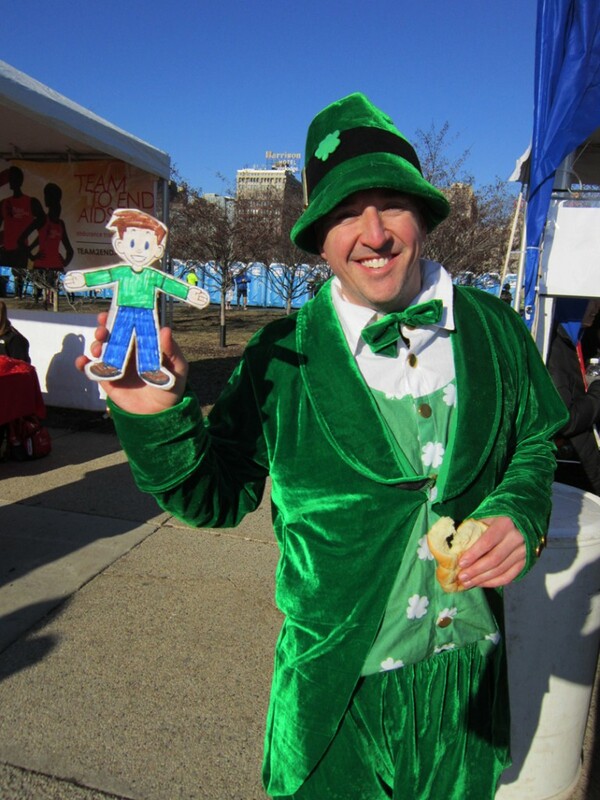 And here he is at my place… at the end of today’s Shamrock Shuffle journey!! !